Thu June 18th @ The Belmont w/ Shakey Graves! Can’t wait for this one! 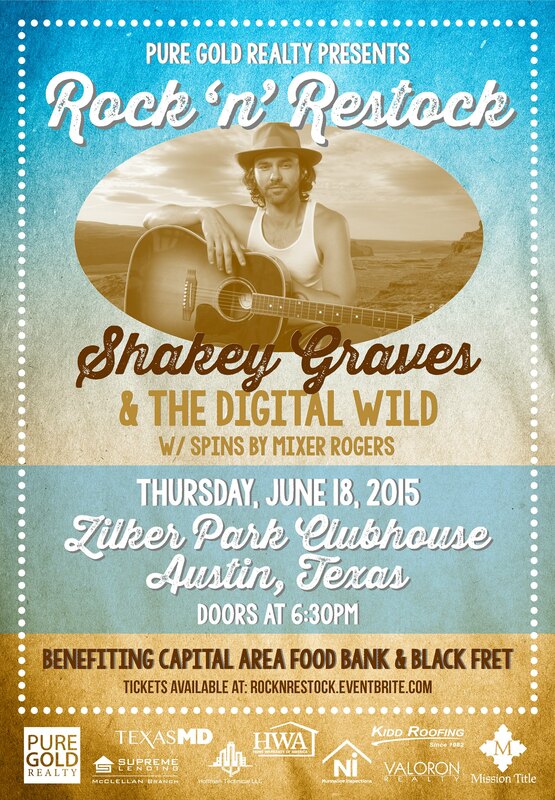 Rock ‘n Restock with Shakey Graves, The Digital Wild and Me! Too big for the Zilker Park Clubhouse so it has moved to The Belmont! This entry was posted in Shows and tagged Austin, Digital, gold, graves, June, Mixer, Music, Party, pure gold, realty, restock, rock, Rogers, shakey, Texas, wild, zilker. Bookmark the permalink.